Tata Motors has revealed the specifications of the Nexon, its upcoming compact SUV, at the 2017 Geneva Motor Show. The company says that the Nexon will get a brand-new 1.5-litre Revorotq diesel motor. The engine is mated to a 6-speed manual transmission. The Nexon will also feature Tata's Superdrive driving modes that debuted in the recently launched Hexa. A near-production-ready Nexon was also showcased at the 2016 Auto Expo and by the looks of it, the Nexon Geneva edition looks almost similar. 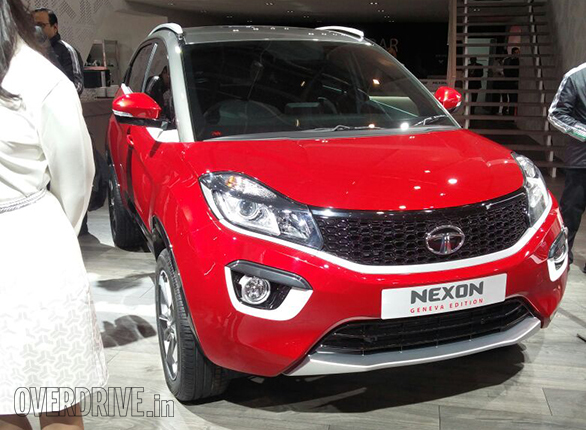 The Nexon features Tata's IMPACT design which makes the SUV look pretty striking. The front end, for instance, looks quite imposing with the large grille and projector headlamps with LED DRLs. The dual-tone paint scheme looks good, and it seems to be the flavour of the season with quite a few manufacturers opting for it. The Nexon rides on 17-inch alloy wheels and has a 200mm ground clearance. It is 3,995mm long, 1,181.4mm wide, 1,607.4mm high. It has a wheelbase of 2,498mm which is just shy of the segment leader Maruti Suzuki Vitara Brezza's wheelbase. The interiors also look as funky as the exterior. The Geneva edition sports colour co-ordinated inserts across the dashboard and the door handles, which certainly livens up the cabin. Interestingly, there aren't too many buttons around the centre console, suggesting that the designers intended to keep it clean and simple. A notable feature is the large touchscreen infotainment system that looks similar to what you see in cars from Audi. 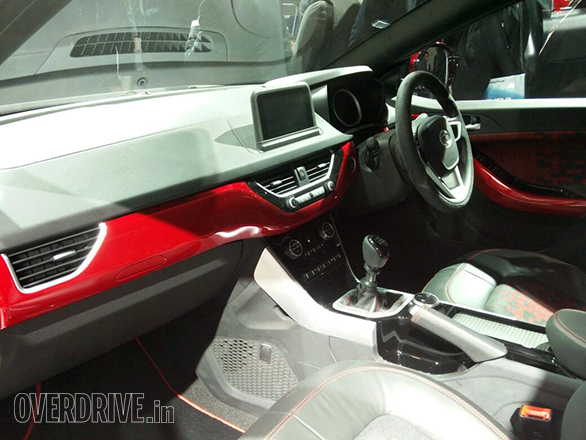 Expect this feature, as well as automatic climate control, to be added in the top-spec Nexon. The Nexon will be launched in India towards the end of this year, most likely during the festive season. It will go up against the Hyundai Creta, Ford Ecosport and the Maruti Suzuki Vitara Brezza.